James works closely with the local Daffodil Cottage to build their volunteer capacity, and is active in the community talking to local organisations and service clubs about palliative care, end of life and volunteering. 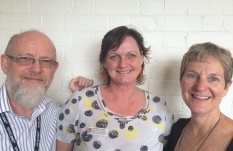 Bernadette Orange has championed volunteering with Di Scott at the Parkes Information and Neighbourhood Centre which is now successfully hosting a local group of volunteers and has sourced funding to support their activities, including conference attendance by volunteers. 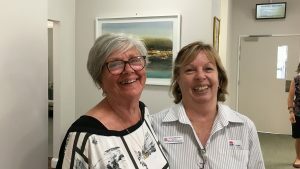 Alison Dawes is managing volunteers within her role at Dubbo including a Bereavement Service, and is looking creatively at ways to build the local engagement of volunteers. Thanks James, Bernadette and Alison for all you hard work!